A new support document outlines ways users can transition to other Apple services to replace the retired iCloud feature including iCloud Drive, screen sharing, and the Apple Remote Desktop app. "Back to My Mac will not be available on macOS Mojave," reads the document in part. "You can get ready now by learning about alternatives for file access, screen sharing, and remote desktop access." Back to My Mac debuted back in 2007 with Mac OS X Leopard as part of what was then known as .Mac. Later, .Mac turned into MobileMe before eventually becoming iCloud with Back to My Mac coming along for the ride. It was an easy and convenient way for users to access files on another machine remotely. For users who had both a desktop and a laptop, it was a great way to share the screen and access files while at home or away. With the release of iCloud Drive and Apple's own Remote Desktop app, there is less of a need for this niche service that is replicating other features. When the first beta of macOS Mojave was released, Back to My Mac was removed, though the news of it went a bit below the radar, perhaps highlighting how few people were currently using the aging service. macOS Mojave will be shipping this fall as a free update for those on compatible machines, bringing many new features. 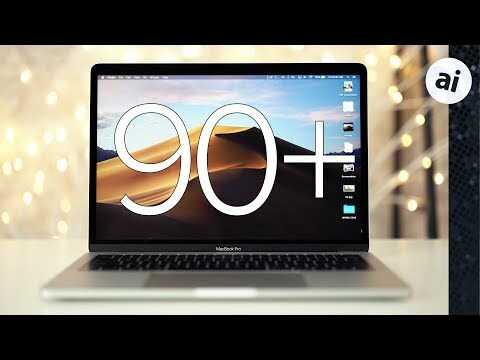 For those who rely on Back to MY Mac, AppleInsider has collected a few quick and easy alternatives that will take users well into the macOS Mojave era. Waiting for the “Apple is dead to me, Mojave is useless” comments. But I would like to know the reasoning behind the removal of the feature. Security? More likely redundancy like the article surmises. I never used it personally but that’s just me. THAT'S what Back to My Mac was? I toyed around with setting up a VPN so I can access files on my home network remotely. I hadn't realized this was available out of the box. Hmm, I'll be curious to see the feature AppleInsider is working on. I use Back to My Mac all the time. With it gone, not sure how my home computer's IP address will be made known to my laptop or work computer to allow connection. There's going to be a couple, with time. Today's is quick and dirty solutions to fill a gap that will suddenly exist. We'll also be doing more later on how to configure each, and nitty-gritty of each. I use a VPN and ARD, so not going to miss this. I've found Google Remote Desktop to be useful accessing a Mac from an iPad, although there are some areas it doesn't work well, such as Command-click selection of files from a list and its inability to work with Spaces. Overall, Google Remote Desktop was easier to setup and more reliable to access than Back to My Mac, although you have to hold your nose while using a product from Alphabet. Remote Desktop App is $109 in Canada... Ridiculous! The only reason my parents are in the Apple ecosystem is because I can support them remotely. I have to use Team Viewer though. Apples free solutions are view only. I don’t need unattended access, just co-navigating. Right now, I can access my mother's computer through Messages Screen Sharing. Is this also going away with Mojave? We don't think so, but it isn't a great solution for full-featured remote controlling. I use teamviewer to help my father with his Mac problems. Not perfect, annoyances actually, but much more flexible. Back to my Mac just isn’t very useful. So I stopped bothering with it. Just another example of Apple struggling with services. Apple's real genius is knowing what to say "no" to. “Waiting for the “Apple is dead to me, Mojave is useless” comments. Damn I’m good. Very next post too. So removing a single feature makes Mojave useless and you’re going to switch platforms. How deliciously stupid. Actually, I never managed to get Back To My Mac to work. I couldn't work out if it was a problem with the ports on my router, my ISP, or the software itself. I use Parallels Access when I need to connect remotely, although that can be a bit clunky. I'm already paying for Parallels, and I get Access for free with that. As I recall, a main selling point of Back To My Mac was access to your files, and now they're pushing for you to store everything in their cloud, so that need is going away. For those of us who want to actually run things, or manage our Macs remotely, there are other options that don't require Apple to manage anything themselves. What's the opposite of "Sherlocked"? Yes, there are other ways to accomplish what Back to My Mac did. However, none are as simple and as elegant. The cool thing about back to my mac is I could turn it on, then access my mac no matter where it was. No other software to install or configure. If I need to remote control a machine I could. If I needed to grab a file from anywhere on the hard drive, I could. If I wanted to have to install and configure some other software to make that work, I might as well just get a Windows machine, as there are even more options available than there are on the Mac to do that. When the screensaver came up with 'Andrew's MacBook Pro', it completely threw me, I though HTF did they do that! They’re probably killing it for security reasons, which is good. My only ask is: if you can share your screen with Face Time/ Messages, and it has end to end encryption; why can’t you also allow remote control? Is there a significant difference in risk/security?